Everyone feels the absence of confidence and motivation at one time or another. This can be a good thing because too much confidence can be just as much of a problem as too little confidence. For a lot of people, though a lack of self-confidence can be overwhelming. Thereby tapering down their lives and creating a real suffering. If you feel trapped in this vicious circle, then hypnosis for confidence and motivation offers a good opportunity to improve your life. So unblock your mind through Tranceform Hypnosis Hypnotherapy Chester. Almost anyone can feel sapped for energy and confidence at times. Finding your motivation and confidence could be as easy as attending a session with Tranceform Hypnosis Hypnotherapy Chester. Helping you to unblock your mind. With the help of our confidence and motivation hypnosis sessions it’s possible to inspire new confidence in yourself. Feeling more motivated than ever before. As part of our hypnotherapy service, we can help break you out of the vicious cycle of unmotivated activity inside your life. By taking time to adjust yourself, it’s possible that unblock your mind and start improving your life with a hypnotherapy session. Hypnosis remains an awesome tool that’s when it comes to finding new motivation and building up confidence. This is because hypnotherapy can really help you to start building up a routine of positive messages. So that you can feel better about yourself and your life overall. Integrate way that you can give yourself a fresh start and begin feeling naturally better about your life and the various challenges that you face. You may already feel confident in certain areas of your life. Yet lacking in a number of others. Hypnosis can give you a way to reassess your routine and start feeling naturally better about your life as a whole. With our hypnosis session we can give you the confidence and motivation that you need to accomplish your goals. Allowing you to start facing new challenges head-on. Anyone can use a lift at times and with the help of our guided hypnotherapy session. You can always have the right frame of mind going into any type of challenge. 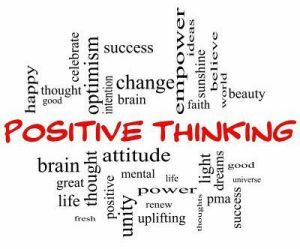 Through the process of hypnotherapy you can adjust your mindset for more positivity. Beginning to find motivation that you never thought you could have accessed before. Confidence and motivation are not character attributes that are fixed at birth –they are abilities that can be learned and mastered through hypnosis and hypnotherapy and regular confidence boosts can make all the difference. Confidence and motivation hypnosis is all about making those abilities easier to learn, apply and master.